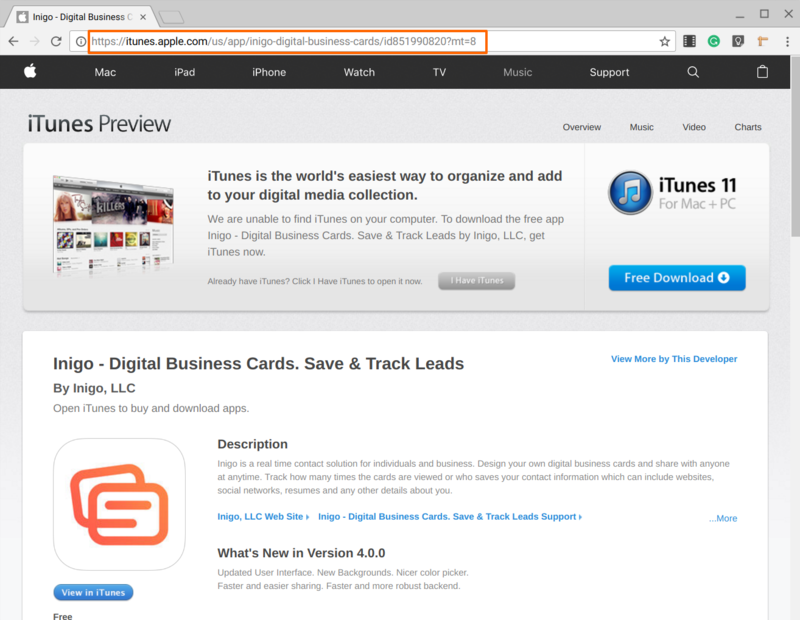 This article will teach you how to add your Appstore or Google Play app to your Inigo digital business card. You can add any smartphone application to an Inigo digital business so that you can easily share it to new contacts and customers. Build your user base and show people how awesome your new app is with Inigo. 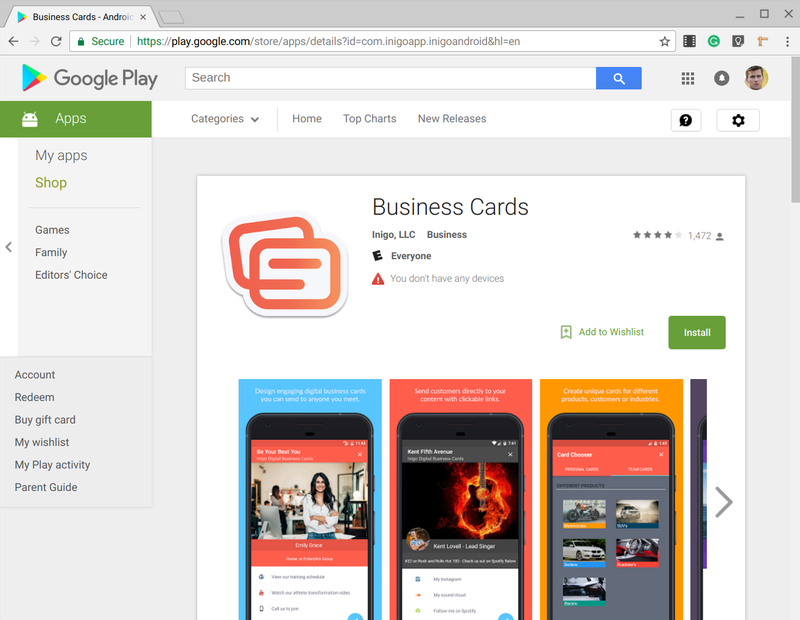 Visit your app's page on the Appstore or Google Play Store desktop website to copy the URL. To do this, search for the application page on the Google Play or Appstore. Open the application page, and copy the URL in the address bar. Share this URL to your phone via email or cloud storage. To add your application to your card, access the Appstore or Google Play Store URL on your phone. You can also input it on the Inigo desktop editor if you are an Inigo Team user. 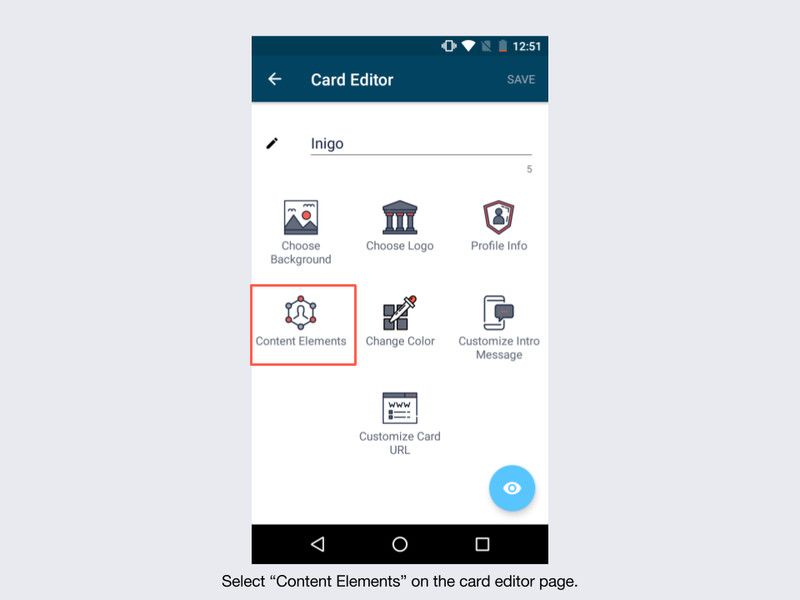 Visit the card editing page on the app, and select "elements." Choose "Add a website." If you have both an iOS app and an Android app add two separate elements. 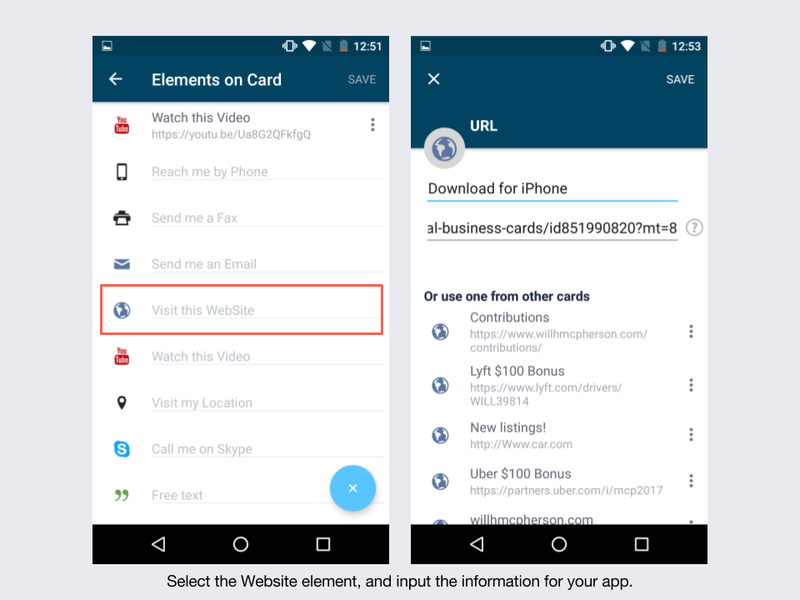 Fill the bottom field with the URL for your application, and give the element a title that reflects that it is an application. Be sure to mention what operation system the element is for. Save the element to your card. 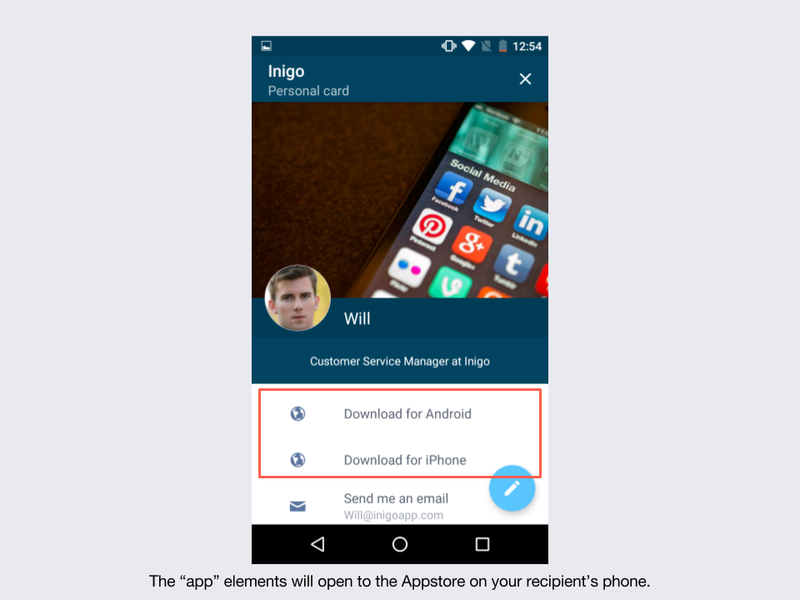 When your card recipient opens the element on their phone, it will direct them to the Appstore or Google Play store to download your app.